‘Just do it’ is the slogan for the Nike brand, but Romone Robinson uses it as advice to the youth who want to be successful. Robinson is the epitome of ‘millennial success’, in that he has done well in education by achieving a Bachelor of Science degree in marketing and a master’s in business management, and is making strides in entrepreneurship and creating a brand for himself. According to Robinson, his drive and interest in being an entrepreneur comes from his parents who are owners of the Barbecue Restaurant, Father Bull, located in Walderston, Manchester and Greenwood, St James. Robinson’s goal is to be the leader of the business sector. 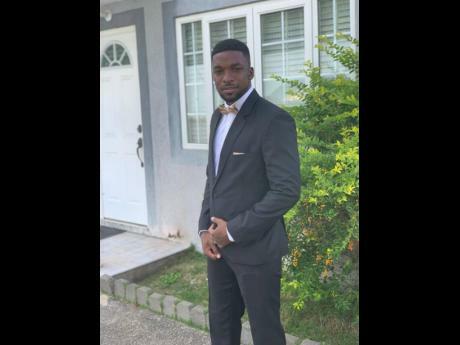 “I want to be the top entrepreneur in Jamaica, and make a worldwide impact,” he said. He has taken well-thought-out steps to achieve his goal of world impact. With a five-year plan in his arsenal, Robinson started by creating Instagram and YouTube videos for viewers. These consist of comedy bits and parodies of popular songs, artistes and scenarios. Robinson believes that if you can make people laugh, they are quicker to love and appreciate what you do. Romone Robinson is an MSBM alum.